Remodeling your floors can be time-consuming and sometimes stressful. 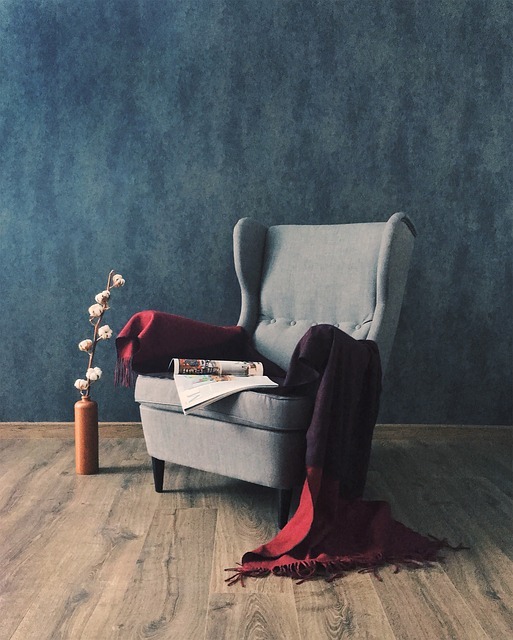 If you’re thinking about installing laminate flooring in your home, we suggest you don’t go with cheap flooring. All Flortec has some creative laminate floor designs that are high quality and will last a long time. Go for a truly unique look by installing hexagon shaped tiles in your kitchen. If your home’s layout allows for transitioning your tiles into another room, fade the hexagon tiles into another flooring like hardwood or tile. Choosing authentic, wood species or other composite flooring materials add a hardwood look to your floor for a fraction of the cost. 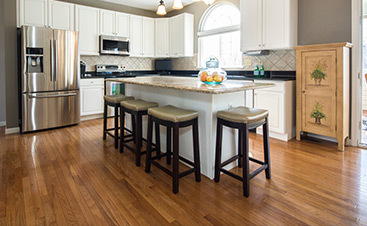 The hardwood laminate design uses planks that resemble hickory wood to stand up to the toughest stains or scratches. 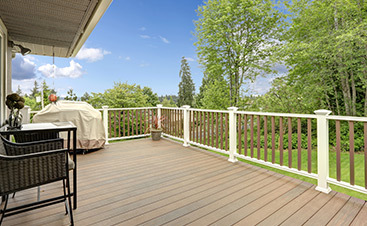 Textured materials made of high-quality grains give the appearance of expensive hardwood. The great thing about this glossy laminate is that it’s really inexpensive but made of quality material. Your bathroom is a room that needs extra durable flooring. 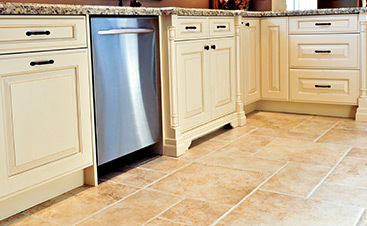 Instead of making ceramic tile your choice, why not go with another inexpensive, elegant option. Here are some choices for the best laminate flooring in your bathroom. Faux wood choices aren’t just for the kitchen or bedrooms. Create elegance in your bathroom by choosing options like hickory or cherry for your floors. These choices are not hard to install. This vintage look is perfect for a beach house or a loft in the city. This option gives a distressed appearance to your floor. It’s a great rustic look and easy to take care of. Painted stencil is an inexpensive way to makeover or add to your laminate flooring. The main area of your home is where you and your guests spend the most time. Make this area stand out with these attractive designs. This flooring resembles a checkerboard and it easily creates other patterns. Place your tiles to look like a checkerboard, or adjust the tiles at different angles. Use this pattern to add elegance to your room or give a contemporary feel. While black and white are the most popular color choices, you can use neutral colors as well. Create your own design by choosing different color tiles from the same collection. This will help you create a unique pattern that matches your home’s interior. Lay the tiles vertically or horizontally depending on the layout of your room. The way you place your laminate designs has everything to do with the look of the room. Try positioning the tiles at a diagonal angle. Although this method takes a little longer to install, the finished project is amazing. You can also try laying the tiles parallel. This method makes the room look longer and makes good use of your space. If you have entrance and hallway spaces, use those as a border for this layout. If you’re considering laminate flooring for your home, All Flortec has everything you need to get started. Contact us anytime and we’ll help you install and design you want in your home.